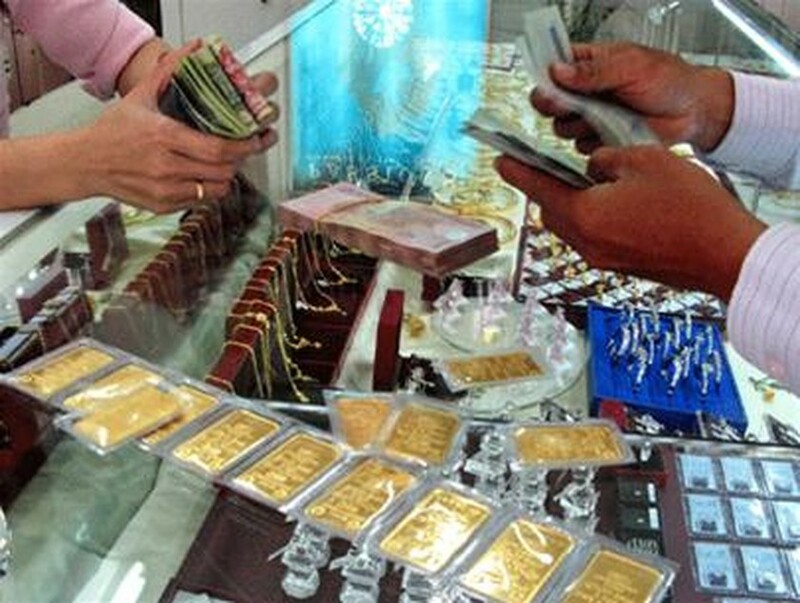 The price of gold in Vietnam rebounded by VND430,000 to VND47.6 million a tael (1.2 ounces) on September 9 as global price gained 2.9 percent in the trading session in New York last night. Trading gold at a gold shop. Sacombank Jewelry Company bought gold at VND47.36 million and sold at VND47.59 million at 10:45 am local time. Saigon Jewelry Company, the biggest gold shop in Vietnam, bought gold at VND47.38 million and sold at VND47.58 million in Ho Chi Minh City. Hanoi-based Phu Quy Jewelry Company purchased SJC-brand gold at VND47.4 million and sold at VND47.68 million at the same time. According to gold traders, buying remained the main tendency on bullion market, causing domestic price to advance faster and decline slower than global price. 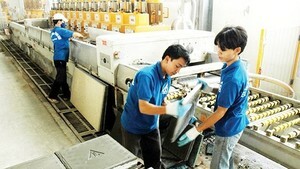 Domestically, gold still fetched around VND1 million higher than global price. The US dollar exchange rate stalled around VND20,900 on free market this morning. The US currency was bought at VND20,880, and sold at VND20,930, a decrease of VND20 per dollar in selling price over the previous day. Internationally, gold sharply recovered as a slump in equities boosted the appeal of the precious metal as an alternative investment channel. The US Federal Reserve chairman, Ben Bernanke, disappointed investors as he did not mention a plan to stimulate growth in his speech yesterday. Gold for immediate delivery restored as much as $52.3 an ounce, or 2.9 percent, to close at $1,870.6 an ounce on the Comex in New York. Yesterday, President Barack Obama also proposed a $447 billion jobs plan to boost growth and create more jobs. This information did not surprise investors but increased Asian investors’ risk-loving behavior and lessened the attractiveness of the yellow metal. The European Central Bank had not signaled that it would continue to tighter monetary policy in its meeting yesterday. Spot gold sank $6.2 an ounce to trade at $1,864.4 an ounce at 10:30 am Vietnamese time. The euro exchange rate against the US dollar retreated to $1.39 a euro in Tokyo this morning from $1.4 the previous day. Crude oil futures for October delivery surged $0.3 a barrel over the closing price in New York to trade at $89.35 a barrel at 11 am Vietnamese time.